Ariana Grande has revealed the tracklisting for her upcoming third album. The singer-songwriter is scheduled to release “Dangerous Woman” on May 20 via Universal Music Group / Republic Records. 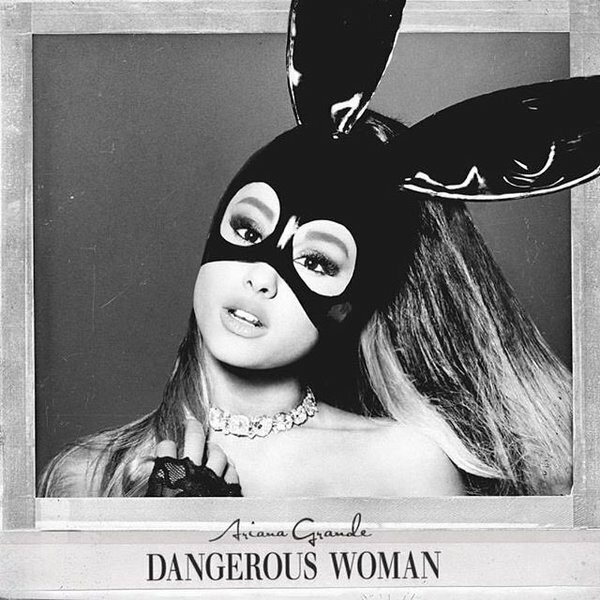 Lead single “Dangerous Woman” – now available for download via iTunes – was collectively helmed by Ross Golan (Lukas Graham, Meghan Trainor), Johan Carlsson (Michael Buble, Harry Styles) and Max Martin (Pink, Katy Perry). The follow-up to 2014’s “My Everything” boasts additional alliances with Ilya Salmanzadeh (Jennifer Lopez), Savan Kotecha (Tori Kelly), Tommy Brown (Pia Mia), Victoria Monet (Chris Brown) and Twice as Nice (Rihanna). Peep the tracklisting for “Dangerous Woman” below. Fifth Harmony added to Julia Michaels and Jack Antonoff to the list of contributors for their upcoming sophomore album. Antonoff is best known as the lead singer and songwriter of Bleachers, and lead guitarist of the indie rock band Fun. Moreover, he was nominated for two Golden Globe Awards and has won three Grammy Awards. His songwriting and production credits include St. Lucia (“Help Me Run Away”), Rachel Platten (“Stand By You”), Troye Sivan (“Heaven”), Christina Perri (“I Don’t Wanna Break”) and Taylor Swift (“Out of the Woods”). Meanwhile, notable works by Michaels include Selena Gomez’s “Hands to Myself” [Interscope], Hailee Steinfeld’s “Love Myself” [Republic], Justin Bieber’s “Sorry” [Def Jam] and Rita Ora’s “Poison” [Columbia]. Fans of her poignant songwriting should also look out for upcoming projects by Gwen Stefani [Interscope], Britney Spears [RCA], Jessie Ware [Island], Zara Larsson [Epic] and Jasmine Thompson [Atlantic]. Fifth Harmony, on the other hand, are scheduled to release the follow-up to 2015’s “Reflection” later this year through Syco Music and Epic Records. The still-untitled project’s lead single – rumored to be the Tinashe-penned “She’s My Girl” – will be available for download from February 26 via iTunes. Other songwriters and producers backing Fifth Harmony on the new album are Max Martin, Babyface, Dr. Luke, Justin Tranter, Benny Blanco, Taylor Parks, Jason Evigan, Mitch Allan, Tommy Brown, Meghan Trainor, The Rascals, LunchMoney Lewis, Negin Djafari, Jared Cotter, and THE ELEV3N. Watch the music video for “Miss Movin’ On” below. Ariana Grande has announced the title of her third studio album. The singer and songwriter christened her next studio collection “Moonlight” and will release it later this year under Republic Records. The highly-anticipated project is executive-produced by Scooter Braun, whose also overseeing the next projects by Tori Kelly [Capitol Records], Carly Rae Jepsen [Interscope Records] and Justin Bieber [Island Records]. Album songwriters and producers are Tommy Brown (Nas, Jennifer Lopez), Victoria Monet (Jasmine V, Chris Brown), Jim Jonsin (Usher, Kelly Rowland) and Carmen Reece (Nathan Sykes, Teyana Taylor). 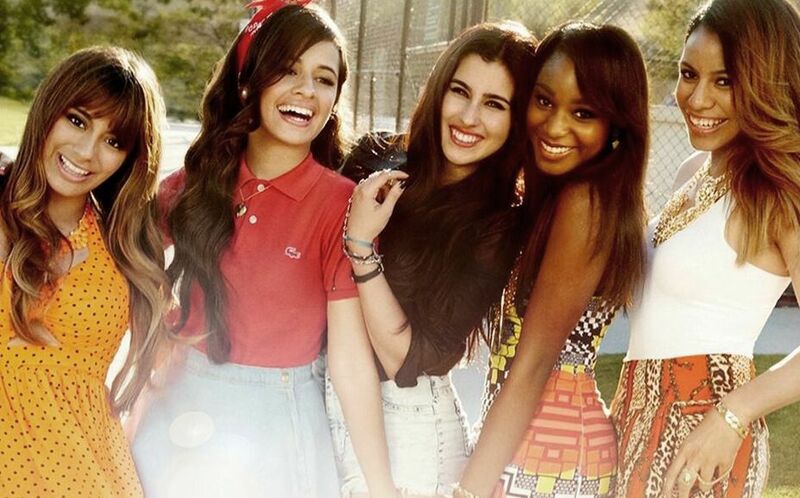 Fifth Harmony has recorded new material with Taylor Parks. It is yet to be known whether the session was intended for future re-release of Fifth Harmony’s debut album “Reflection” or their next studio collection. Parks previously co-wrote “Bo$$” for Fifth Harmony along with Jacob “JKash” Kasher and Gamal “LunchMoney” Lewis. The Ricky Reed-produced track peaked to number forty three on the US Billboard Hot 100 Singles Chart. Other songwriting credits by Parks include Mariah Carey’s “Infinity” [Epic], Jennifer Lopez’s “So Good” [Capitol], Ariana Grande’s “My Everything” [Republic] and Keyshia Cole’s “Rick James” [Interscope]. She also collaborated with top record producers Toby Gad (Brandy, Ella Henderson), Eric Hudson (Trey Songz, Whitney Houston), RoccStarr (Beyonce, John Legend) and Tommy Brown (Victoria Monet, Amber Riley). 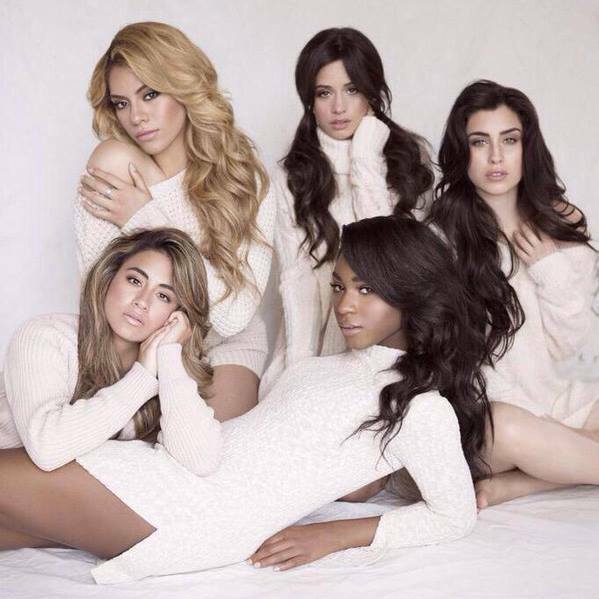 Meanwhile, Fifth Harmony’s debut album “Reflection” – featuring current promotional cut “Worth It” – is now available for download via iTunes in partnership with Syco Music and Epic Records. Watch the music video for “Worth It” below. Jordin Sparks has premiered the music video for her new single online. The singer/songwriter posted the visual clip for the 2 Chainz-assisted “Double Tap” to her official Vevo channel on Wednesday (March 11, 2015). “Double Tap” – now available for download via iTunes – was co-written by Victoria Monet (Fifth Harmony, Ariana Grande), Thomas Lumpkins (Britney Spears, Janet Jackson) and Jonas Jeberg (Nicole Scherzinger, Pixie Lott). As mentioned in earlier posts, Sparks’ third studio album “Right Here, Right Now” will hit stores later this year via Larger Than Life Records. The follow-up to 2009’s “Battlefield” is executive-produced by Salaam Remi, who also worked with Jazmine Sullivan [RCA Records], Leona Lewis [Island Records] and Mack Wilds [Larger Than Life Records]. Other album contributors are Dem Jointz (Brandy, Madison Beer), Crada (Drake, Emeli Sande), Elijah Blake (Usher, Keyshia Cole), Tommy Brown (Rita Ora, Jennifer Lopez) and DJ Mustard (Omarion, Jhene Aiko). Watch the music video for “Double Tap” below. According to a new interview with Billboard magazine, Rita Ora’s sophomore album will feature contributions from record producer and songwriter Dr. Luke. Recent credits by Dr. Luke include Usher’s “I Don’t Mind” [RCA Records], Ne-Yo’s “She Don’t Know” [Motown Records], Fifth Harmony’s “This is How We Roll” [Epic Records] and Nicki Minaj’s “Only” [Republic Records]. The hitmaker – born Lukasz Gottwald – also worked with Kelly Clarkson [RCA Records], Maroon 5 [Interscope Records], Nicki Minaj [Republic Records], Rihanna [SRP Records] and Katy Perry [Capitol Records]. Meanwhile, Ora will release her next studio collection and follow-up to 2012’s “ORA” later this year via Roc Nation and Columbia Records. The still-untitled project features further collaborations with will.i.am (Usher, Mariah Carey), Diplo (Madonna, Chris Brown), Tommy Brown (Ariana Grande, Jordin Sparks) and Devonte Hynes (Carly Rae Jepsen, Sky Ferreira). Current single “Grateful” – taken from the original motion picture soundtrack “Beyond the Lights” – is now available for download via iTunes.